ANAHEIM, CA — It’s not uncommon to see cast members at Disney parks in the United States with an addition to their name badge indicating their fluency in a language other than English. 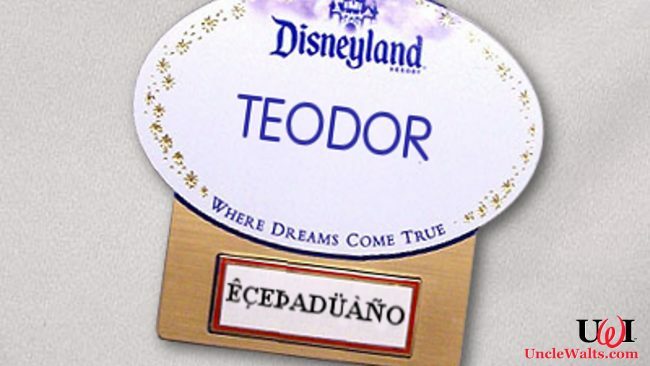 But Teodor Kennard, a custodial cast member at Disneyland Park, is the only cast member able to speak Êçeþadüàño, and with good reason — the language does not exist. “It’s this gibberish thing my brother Trevor and I made up when we were kids,” Kennard, 23, shares. “We had this whole backstory about this isolated community somewhere in the Carpathian Mountains, and we created the name by stringing together some weird letters using Windows’ character map. Disney HR lead Steve Appleby hired Kennard. 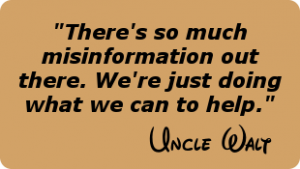 “Yeah, we know he made it up,” Applebee tells Uncle Walt’s Insider. “But first, we wanted to see who would crack up first in the interview, him or us, and neither did. And second, we were curious if the department that creates name badges would be able to handle it — and I have to say, they did a pretty good job. 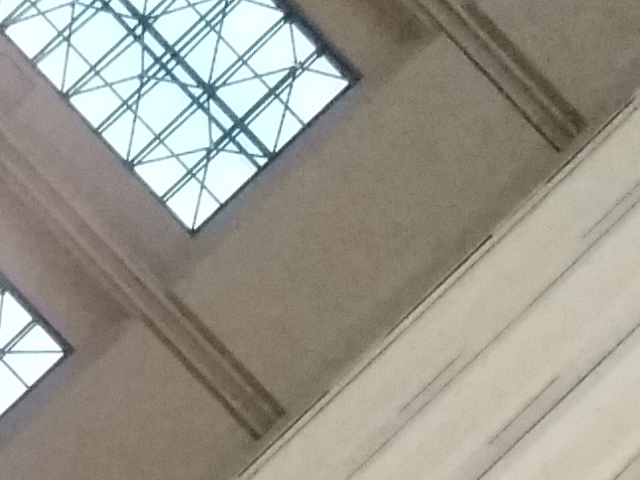 Do you speak Êçeþadüàño? Let us know in the comments below! Cover photo, of Teodor proudly displaying his cast member name badge, courtesy of NameTagMuseum.com, modified.